Cadets and adult volunteers from Staffordshire & West midlands (North Sector) Army Cadet Force represented the ACF on a national level at the Festival of Remembrance and the Cenotaph Parade in London over Remembrance weekend. 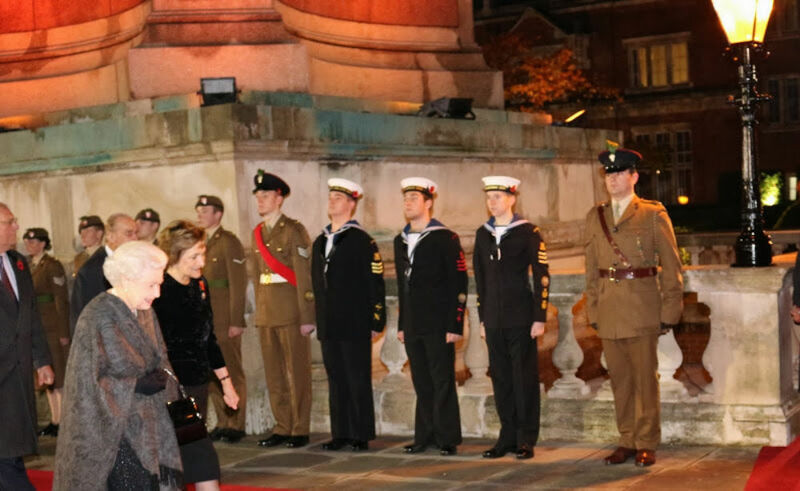 22 cadets assisted at the Festival of Remembrance event held at the Royal Albert Hall, Saturday 9 November. Cadets were involved in supporting with access for wheelchair bound visitors and handing out programmes at the same time as collecting for the Poppy Appeal. 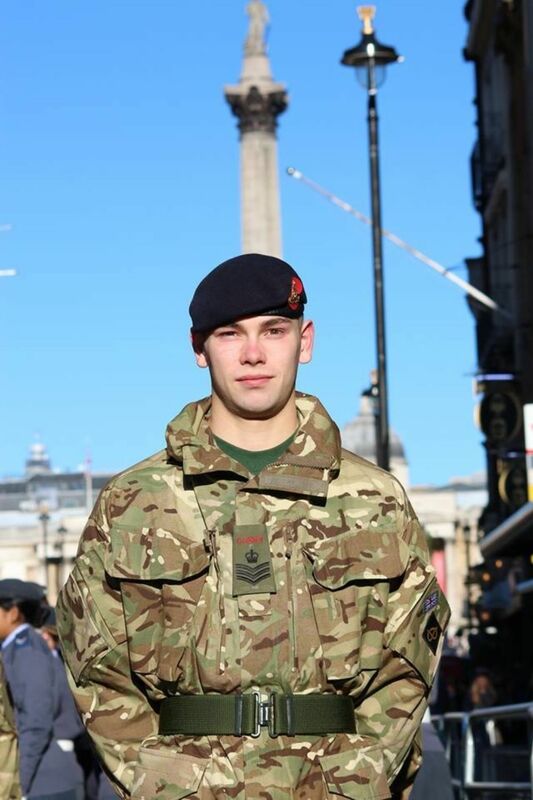 SSgt Edward Halliwell was selected to be the ACF banner bearer at the Royal British Legion event, parading for HM The Queen. On Sunday 10 November, 28 cadets and two adult volunteers from Staffordshire and West Midlands (North Sector) ACF represented the ACF in the Cenotaph Parade in Whitehall, which again was in the presence of HM The Queen. SSgt Kyle Mellor handed over the wreath from the members of the ACF during the march past in which The Princess Royal took the salute. Cadets from across the Army Cadet Force were involved in local events over Remembrance weekend, which included parading and poppy collecting, take a look at the county websites for reports of the activity in your region. Click on the images to the right to see photos from the two national events.